Contact us for questions, advertising proposals or anything else! IMPORTANT: Please be accurate and eloquent as much as you can while describing your problem. It is very difficult to make a quality reply to unclear and ambiguous questions! Add e-mail address [email protected] to your safe list. 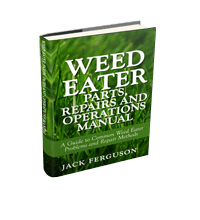 By joining the Weedeater Featherlite newsletter you will receive a FREE 65 Page Ebook titled "Weed Eater Parts, Repairs and Operations Manual - A Guide to Common Weed Eater Problems and Repair Methods"
Note: Weedeater Featherlite is only an informational website! It is not the official website for the Weed Eater brand. Weedeater in the domain name stands for a grass trimmer, weed wacker, not as the company name! Moreover, featherlite stands for something lightweight. Website contains purely informational content based on user reviews, that is not our personal opinion. The quality of products are the official Weed Eater company’s responsibility. The content published on this website may not be accurate. 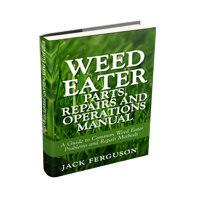 For original info or complaints please contact Weed Eater official website.